Make a simple one-dish dinner that's sure to wow your guests. 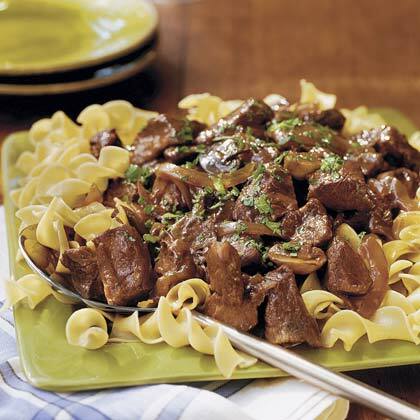 This beef recipe, flavored with gravy and mushrooms, is a hearty, filling dish. Pair with a salad or bread, for sopping up the sauce, and you're ready to eat.